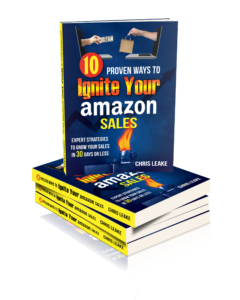 In this week’s podcast episode, we give you your playbook for success on Amazon in 2018! Do these 8 things, and do them well, and you will greatly increase your chances for a successful year. Who will be allowed to sell your products on Amazon? Will your brand sell them through your own Seller Central account? Will you have one exclusive designated 3rd party seller? Will you sell directly to Amazon as a vendor? Clarify your strategy and then execute it…being unclear is not a strategy, it is a problem. Apply to become a client! Here’s one more New Year’s action you should definitely take…get on our email list to receive all our updates, tips, insights, and latest podcast episodes!